The world’s largest ever trade deal is also the first Europe has signed that commits both parties to upholding the UN climate accord. EURACTIV’s media partner Climate Home News reports. Europe’s massive free trade deal with Japan is the first the EU has struck with a specific provision on the Paris climate agreement. 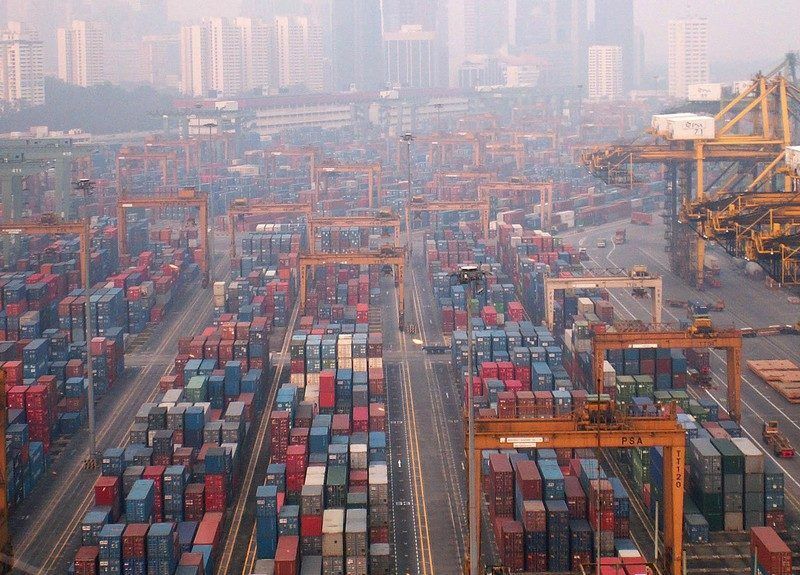 The deal, finalised at a meeting of leaders in Tokyo on Tuesday, will create the world’s largest open trade zone. 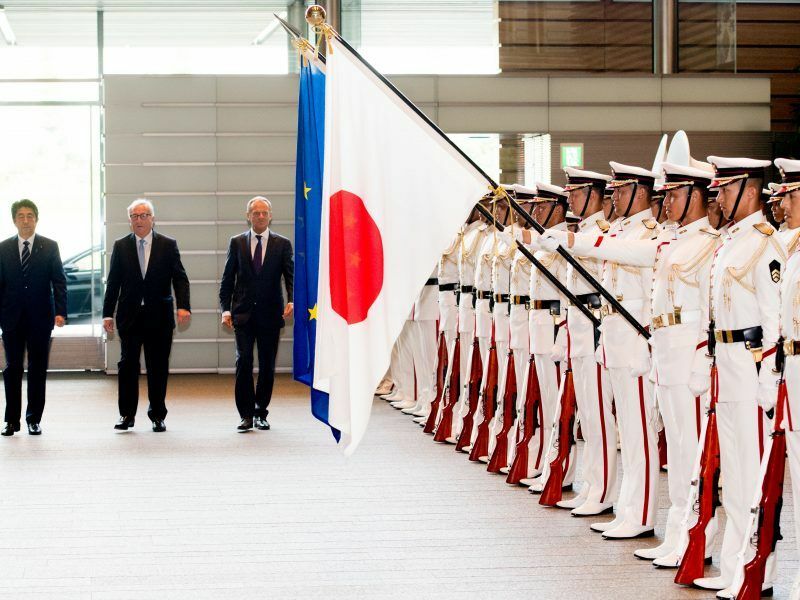 The European Union and Japan signed a long-awaited commercial trade deal on Tuesday (17 July), in an emphatic statement meant to counter US President Donald Trump’s attacks against free trade and the rules-based international order. In a first for EU trade deals, the world’s second and fourth largest economies agreed to work together to uphold the Paris climate deal. Trade could make a “positive contribution” to the fight to stop global warming, the agreement noted. The deal also said Japan and the EU would “strive to facilitate” trade in renewable energy and other low-carbon solutions. Europe’s commissioner for trade Cecilia Malmström has previously said participation in the Paris climate deal was a prerequisite for striking free trade deals with Europe. 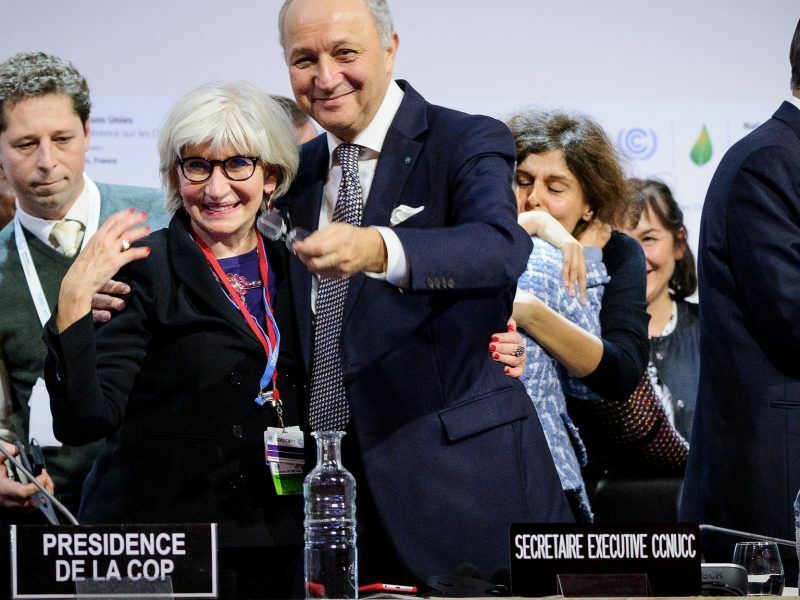 The European Union should support France’s proposal to add compliance with the Paris Agreement as an essential element of EU trade accords, writes Steve Herz. The Paris deal has become a totem for a vision of multilateralism being undermined by Donald Trump’s US administration. Trump has said he wishes to withdraw from the deal as soon as legally possible. The signing was originally planned to be held in Brussels, but Abe cancelled his trip at the last minute in response to deadly floods. 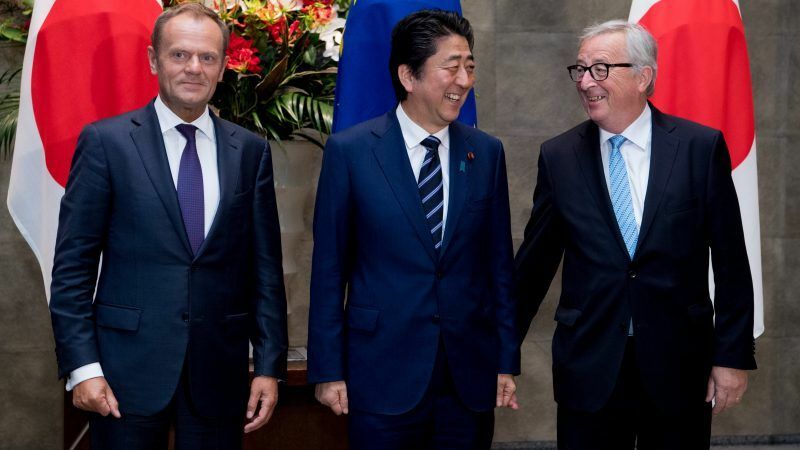 Cooperation between Japan and the EU would extend beyond trade to other areas, said Tusk, including climate change. But experts have questioned the lack of detail on climate protections in the trade agreement. “The [European] commission is primarily concerned with trade liberalisation,” Laurens Ankersmit, a trade lawyer with Client Earth, told Climate Home News earlier this year. A 2017 decision by the European Court of Justice found it was legal for the commission to suspend aspects of trade agreements if there was a breach of the sustainability chapter. But Ankersmit questioned whether the EU would put such a huge economic deal on the line for the sake of the Paris Agreement. In an interview with CHN this month, UN environment chief Erik Solheim promoted the benefits of free trade for environmental protection, although experts said there was little consensus on this. 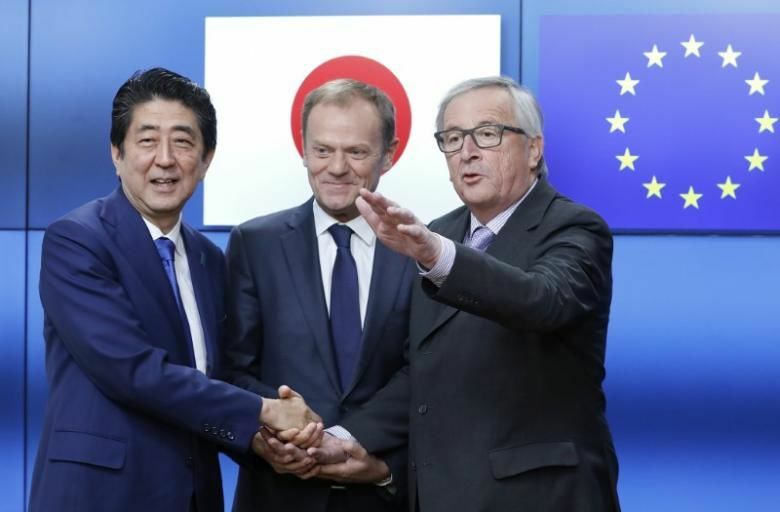 The EU-Japan trade agreement, likely to be concluded in Brussels this week, is the latest example of an EU trade policy that benefits global corporations at the expense of people and the planet, writes Kees Kodde.